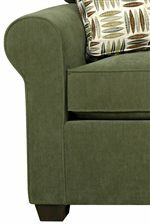 The Twin Sleeper is a stylish, yet practical accent piece for any room in your home. Its rolled arm, coordinating throw pillows, and slightly exposed leg make it a great transitional piece, perfect for almost any decor. 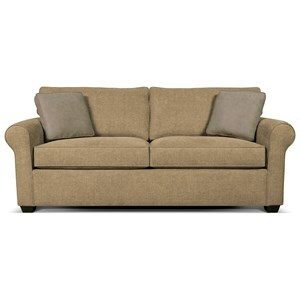 The sleeper sofa also comes in full and queen sizes as well. 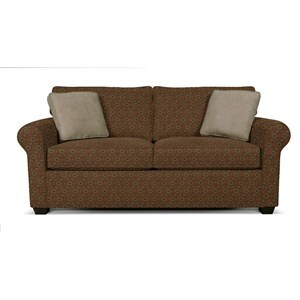 This pull-out couch is available with a standard, Air and Visco mattress option. 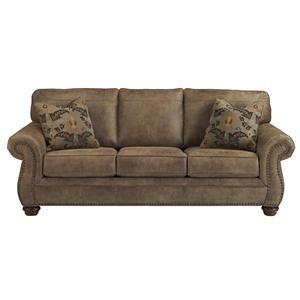 The Seabury Visco Mattress Twin Size Sleeper Sofa for Living Rooms by England at Coconis Furniture & Mattress 1st in the Zanesville, Heath, Lancaster, Newark, Reynoldsburg, Ohio area. Product availability may vary. Contact us for the most current availability on this product. Our American-made custom upholstered furniture offers features you won’t find anywhere else, manufactured hardwood frames, self-repairing zippers, custom-comfort cushions, and the best warranties in the industry. 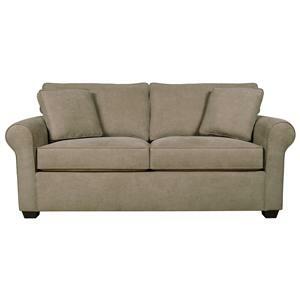 The Seabury collection is a great option if you are looking for Casual furniture in the Zanesville, Heath, Lancaster, Newark, Reynoldsburg, Ohio area. 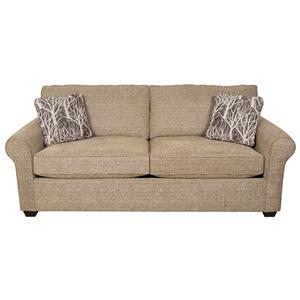 Browse other items in the Seabury collection from Coconis Furniture & Mattress 1st in the Zanesville, Heath, Lancaster, Newark, Reynoldsburg, Ohio area.